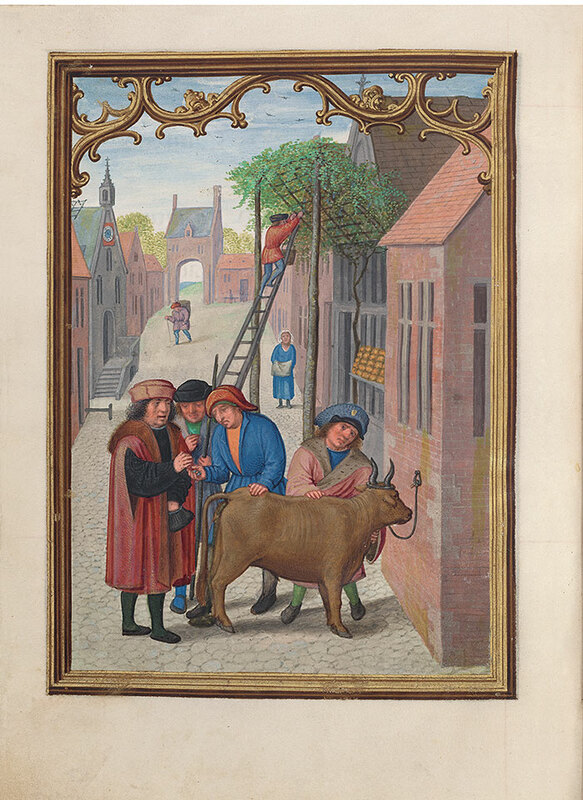 Occupations of the month: October―On a village street lined with buildings, four men negotiate the sale of an ox tethered to the wall of a building. One man places coins in another's hand. Beyond, a man on a ladder gathers grapes from an arbor. A woman standing below looks on. In back, a man with a basket (of grapes?) on his back walks from a village gate toward a building with a sundial in the gable.